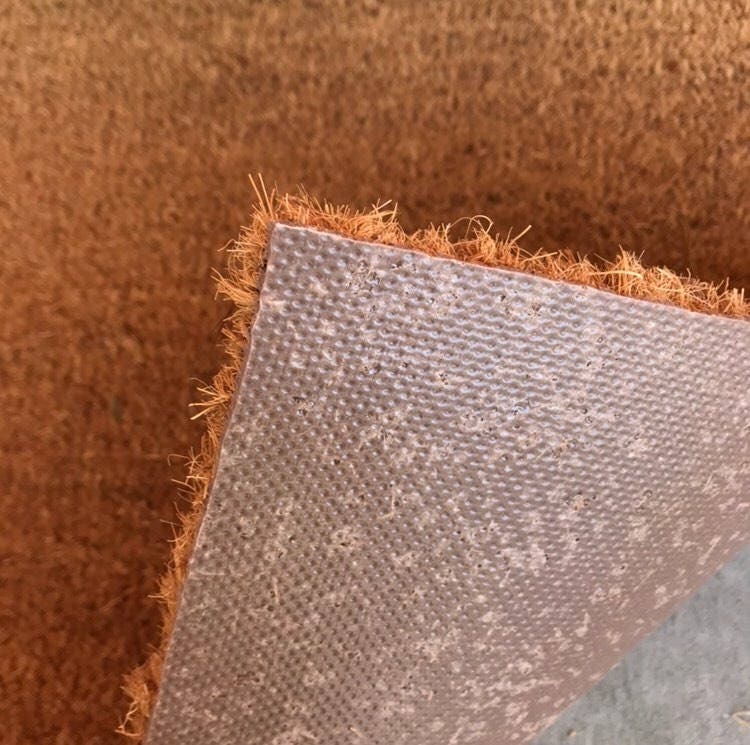 He's super sweet, is always happy to see you and has the ability to always put a smile on your face...oh no, we're not talking about your friend...we're talking about his dog. Your friend's a piece of work. 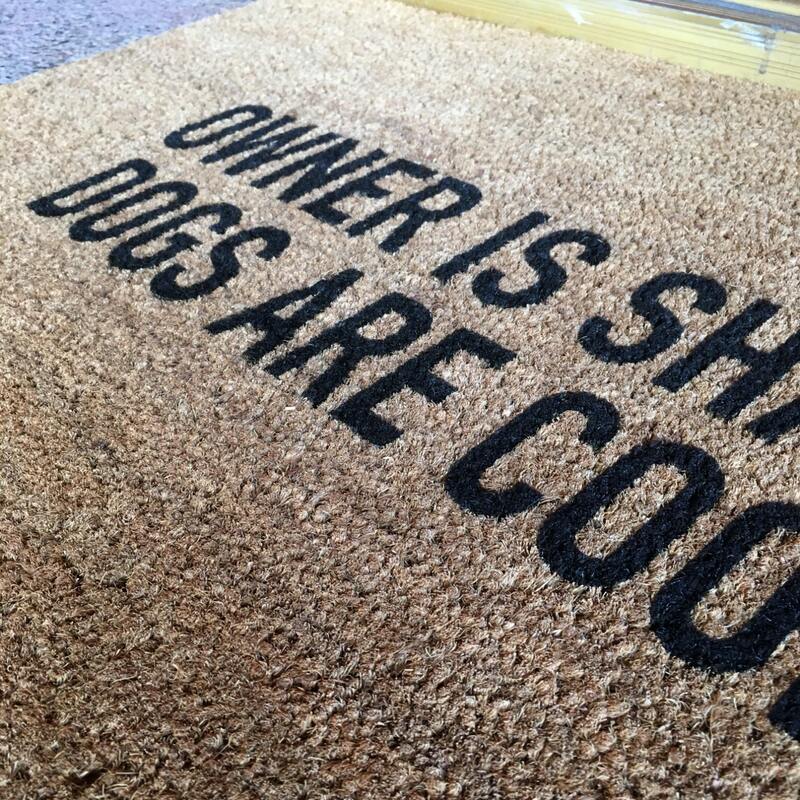 For that reason, your friend gets this doormat. Or if this is you, hey at least you're not in denial about it. And denial is half the battle. You can even change the wording if you like! 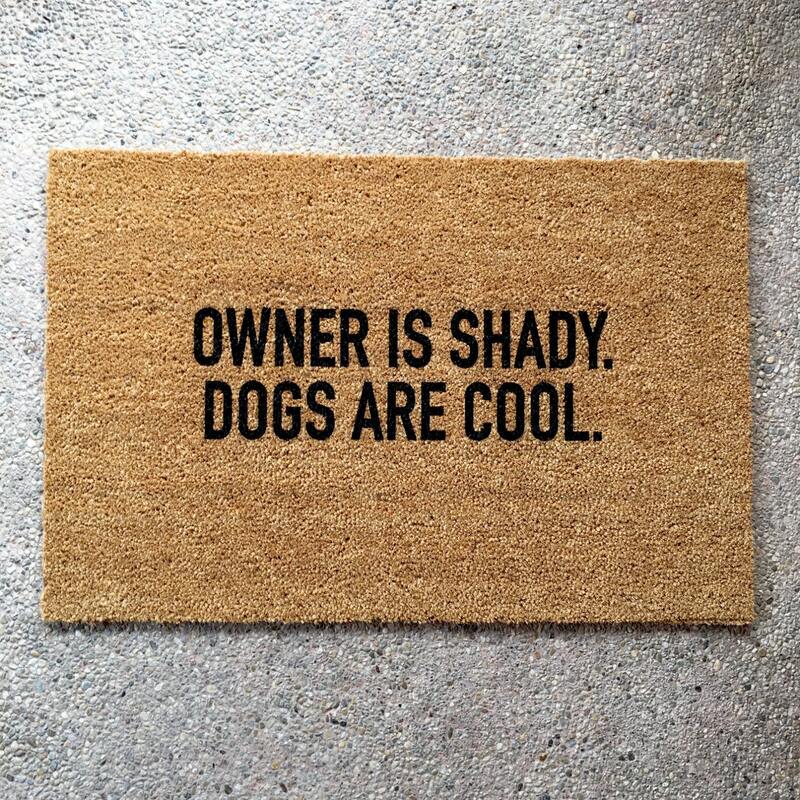 Maybe "owners are shady, dogs are cool" or "owner is shady, dog is cool" or "owners are shady, dog is cool". So many options!!!! Just be sure to write in the "notes to seller" section what you want to change the wording to. 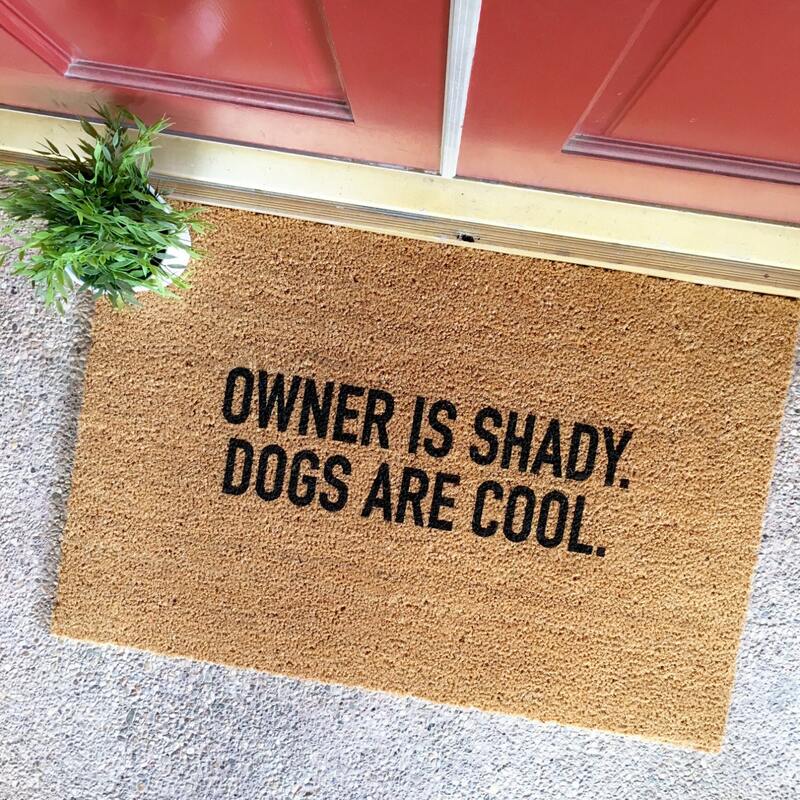 LOVE my new doormat, and have already gotten so many compliments! 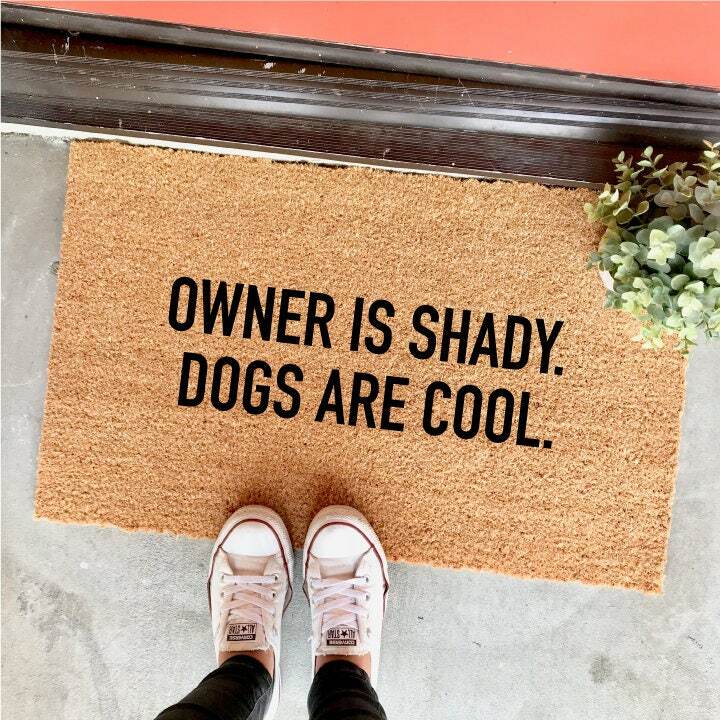 Bought for a friend who is obsessed with her golden retrievers. She loved it!! Fun touch to the front porch! Top product and awesome seller ! Quick turn around time ...Will be added to my favorites !